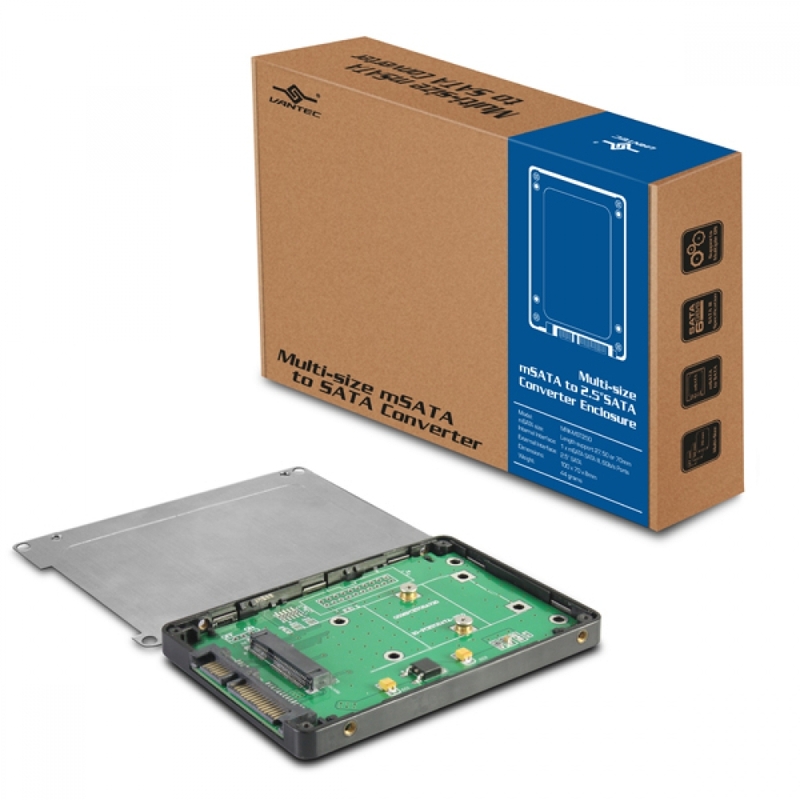 The Multi-size mSATA to 2.5” SATA Converter Enclosure convert an mSATA SSD into a 2.5” Converter Enclosure with the same form factor as a standard 2.5” SATA drive. 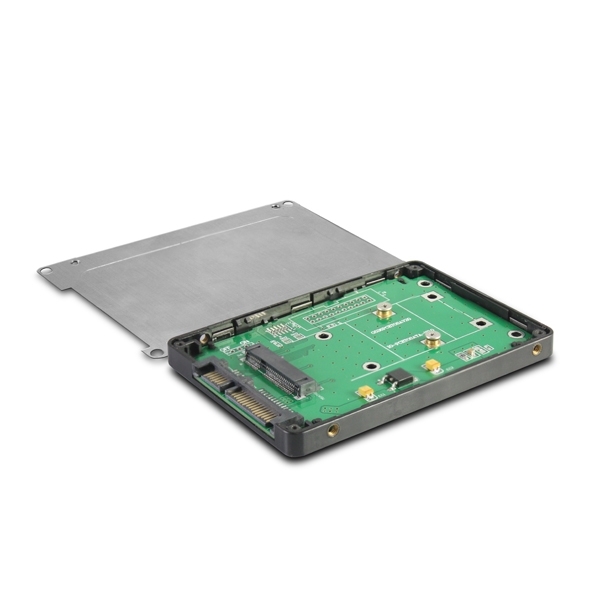 This design offers the flexibility to install the mSATA card anywhere that will fit a 2.5” SATA drive. This Converter offers the same 6Gb/s performance that you will expect from the mSATA using the pass thru function. This Converter unique design allows for different size mSATA card like 27mm, 50mm, and 70mm in length to be fitted into the enclosure. Once installed, you can add it into any device or computer system that will accept 2.5” SATA drive. This converter enclosure is only 8mm in thickness and constructed using Aluminum and plastic.